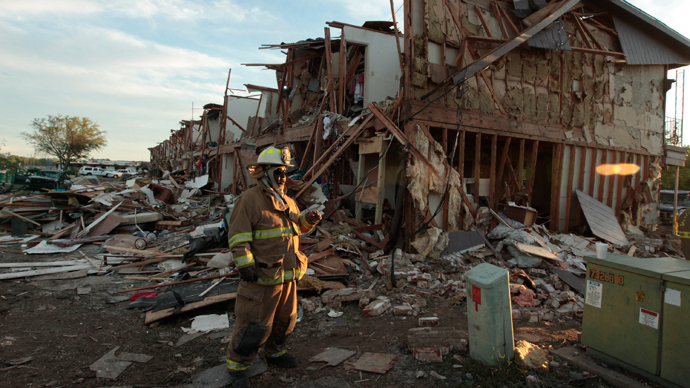 The recent deadly blast at a West, Texas fertilizer plant resulted in an estimated $57 million in damages, but the Federal Emergency Management Agency is refusing to provide funds to help rebuild the devastated town. 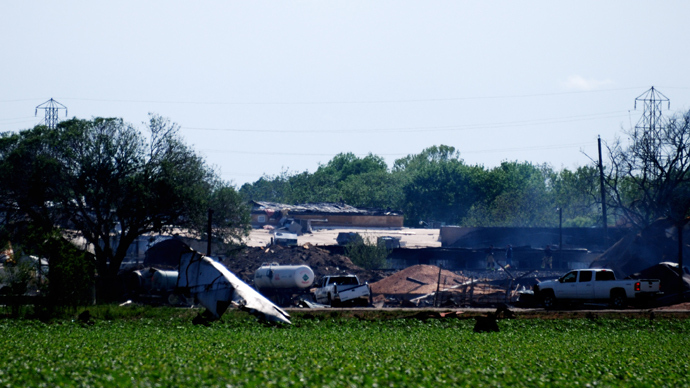 West Mayor Tommy Muska told AP that the town desperately needs $57 million for repairs, $40 million of which is required to rebuild a school that was destroyed when the fertilizer plant exploded onApril 17, killing 15 people and injuring 200. 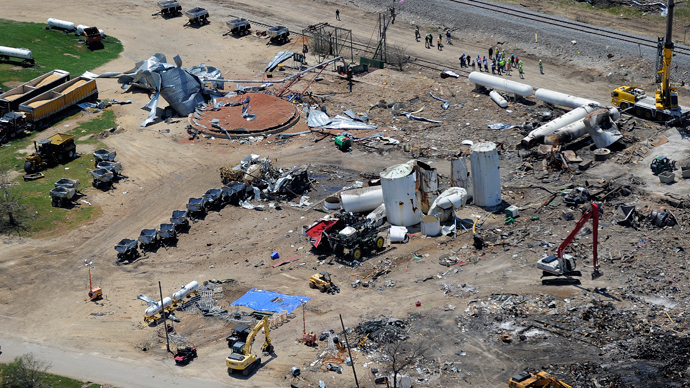 The explosion was so strong that it blew out windows, registered as a small earthquake, and left a 93-foot crater near the fertilizer plant. 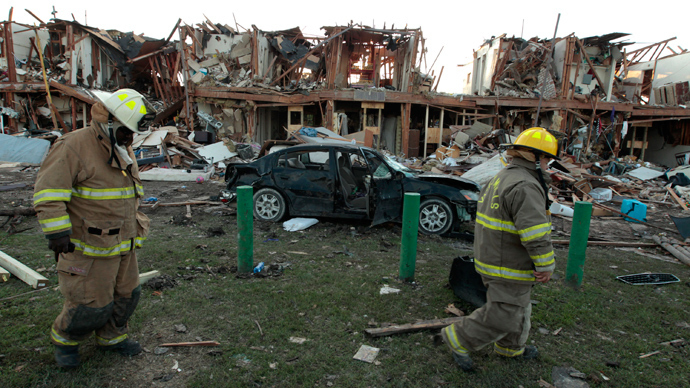 Hundreds of people were forced to evacuate their homes and several dozen were missing after the blast. 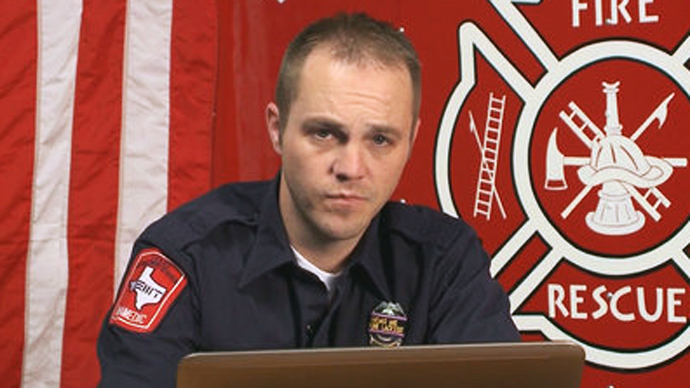 Video recordings showed burning houses and a blanket of toxic smoke over the town. 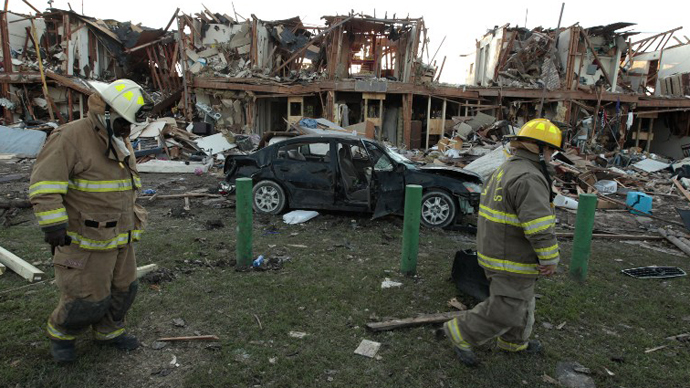 Many houses were partially or completely destroyed. The FEMA response contradicts a pledge that President Obama made to help community members rebuild their town. The president issued an Emergency Declaration on April 22and visited West several days later to assure residents that he would help them. But according to FEMA, the designated emergency is not severe enough to warrant much of the agency’s assistance. FEMA has provided $5.6 million in emergency funds to individual residents, but refuses to provide assistance that would pay for public repairs on roads, sewer lines, pipes and the destroyed school. While insurance funds will pay for some of the repairs, FEMA’s assistance is needed to pay for much of the structural damage. Marty Crawford, superintendent of West schools, said that government assistance is particularly important to rebuild the destroyed intermediate school, as well as repair parts of the high school and middle school that were also affected. In a FEMA statement obtained by The Hill, spokesman Dan Watson defended the agency’s decision, noting that private insurers were covering most of the costs and that FEMA is prohibited from duplicating them. It is unclear how much of the damage will be covered by insurance, but Perry still remains disappointed in FEMA for refusing to help pay for public repairs. “This explosion has impacted everyone in West in some way, and we are very disappointed that the administration is denying the people of West this important assistance,” Perry’s spokesman, Josh Haven, told AP.